Last week, Apple released iOS 9 for iPhones and iPads. In a move that is scaring a lot of sites, one of the new features included in the update is the ability to add ad blockers to Safari, the built-in browser. Basically, mobile ads – including ads for your business, or the kinds of ads that generate revenue for your site – are screwed. Will potential customers be unable to find business websites? Will ad revenue be completely decimated? 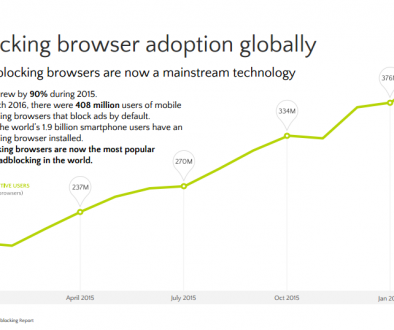 How will ad-driven sites find different, comparable revenue streams? The biggest question on the minds of business owners is, How will business reach their audience without advertising? No one’s really sure how this is going to shake out in the long run, but there’s a group of business owners who are happy about these changes. Business owners who invested in organic traffic generation – such as content marketing and SEO – aren’t seeing any declines in their traffic. Why? Simple: they don’t use ads. Media companies have always served the master who pays the bill… the advertiser. At some point, the advertiser will wake up and choose to do business in a new way, and my guess is that the media that we all rely on will change in response. But in the meantime, it seems as though many online consumers have had enough. Is your business prepared for an ad-free future? If you’re relying just on advertising for your website traffic, you’re going to have a rough 2016. 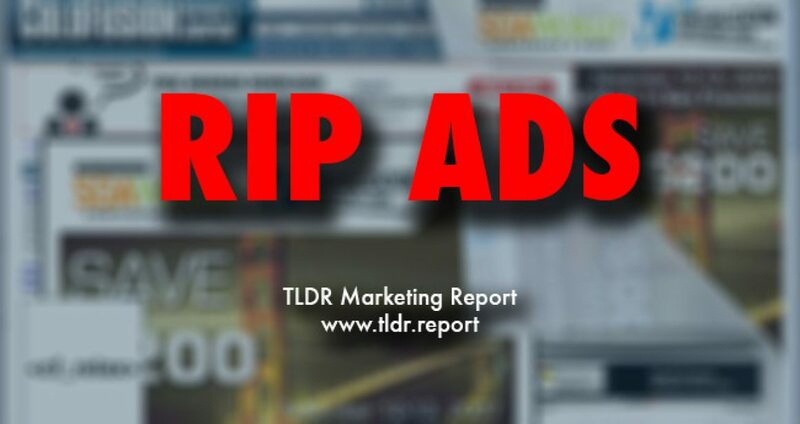 The TLDR Marketing Report is going to publish a special issue about how ads aren’t the only (or best) way to drive traffic, build customer relationships, and grow your business. Subscribe now to reserve your copy.